Susannah is currently offering a Spring Bouquet. 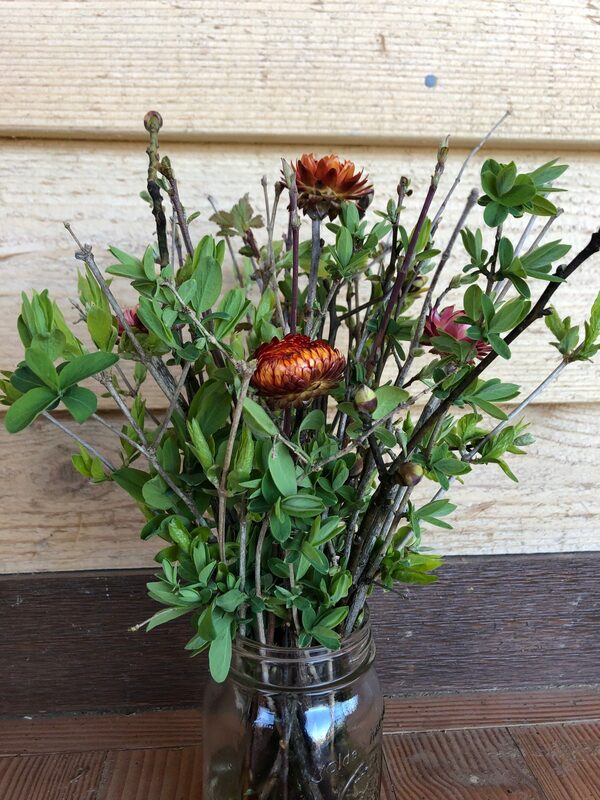 These bouquets include a variety of woody perennial cuttings, early spring bloomers and dried strawflowers. Always pesticide free materials used in each bouquet.